Terrie Hanson received a Bachelor’s degree in Microbiology and Master’s degree in Physiology from the University of Oklahoma. After completion of her Bachelor’s degree, she worked in a research lab at OMRF that was studying autoimmune diseases. While working on her Master’s degree, she continued research in a urology lab at OU health sciences center. She and her husband relocated to Dallas for his training and she continued to work in research for the next 5 years and was involved with clinical trials, which were developing new treatments for cancer. She and her family moved to Shawnee, Oklahoma 24 years ago. She had the privilege of raising her two children, supporting her husband’s career, and working as an adjunct professor at OBU. 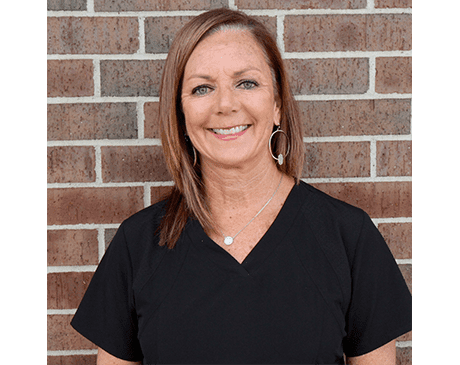 However, the desire to be directly involved with the health care of people continued to grow and she went back to school again at the University of Oklahoma Health Sciences Center and received her Master’s degree as a Physician’s Assistant. Her career as a PA has been in primary care, women’s health, and aesthetics. Her experiences have allowed her to work with people of all ages, gender, and ethnicity. Scientific research and technology have created a lot of new tools to help people feel better about themselves physically and spiritually. Terrie is pleased to be involved with BellaDerma and provide a different type of health care to people.